So, I'm not going to lie. I've been looking forward to this Friday ever since last Friday and the introduction of breakfast friday. I'm just kind of a geek about breakfast. Well, let's change that to passionate. I'm passionate when it comes to breakfast and it sounds like you are too. I went savory this week and included a few of my very favorite ingredients. Eggs. Sweet Potatoes. Rosemary. Goat Cheese. 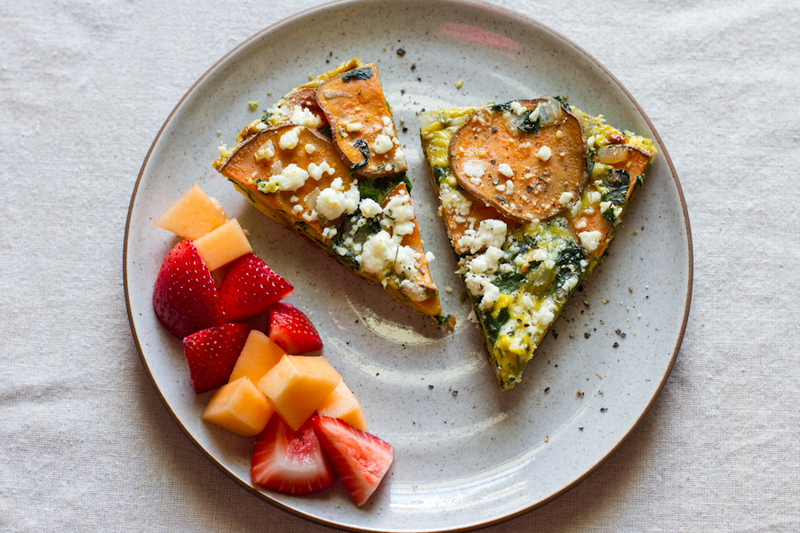 I think this frittata falls into the category of a weekend breakfast. 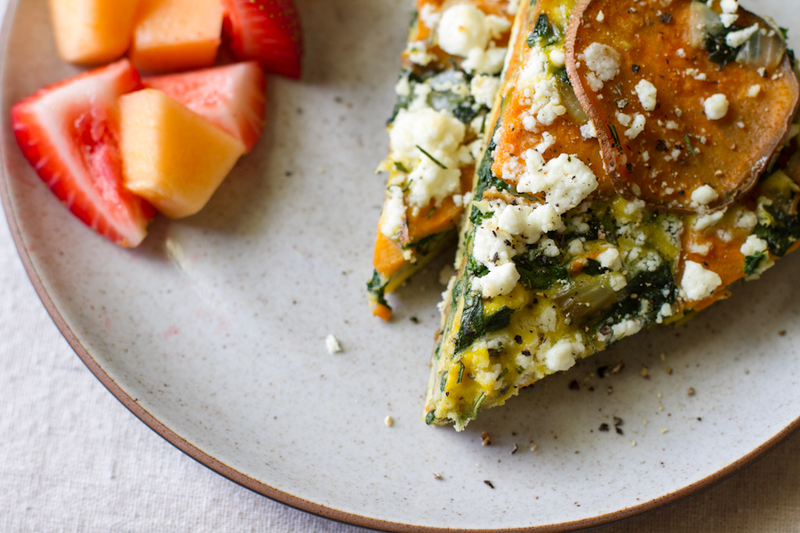 It's not something you'd typically whip up on a weekday but something to enjoy for breakfast, lunch, or even dinner on the weekend. It's also great served as part of a brunch spread. And in my opinion frittatas are quite underrated. They're not too fussy and can make a tasty, hearty meal to feed a few or just yourself with a couple days of leftovers. The addition of potatoes really bulks this dish up. Although, eating alongside buttered toast is always a fantastic option. Or a simple side of fruit will also do. Can we stop and talk about summer fruit for a minute? I am obsessed. Rarely does fruit make it to a recipe around here, because I am too busy shoveling it into my mouth over the kitchen sink with juice dripping down my arms + chin. I have been known to consume an entire cantaloupe, by myself, in one day. Same goes for 8oz containers of strawberries. And let's not even talk about peaches. Thoroughly whisk the eggs, half + half, and a big pinch of salt and pepper in a large bowl. Set aside. Heat ghee or butter in a 10-inch cast iron skillet over medium heat. Add the potatoes, onion, and a big pinch of salt, stirring frequently until the potatoes are just tender, about 6-10 minutes [depending on the thickness of your potatoes]. Preheat your oven to low-broil with a rack in the top position [or 450*F with a rack in the middle]. Add the garlic and rosemary to the pan and stir for 30 seconds until the garlic is fragrant. Add the spinach to the pan and stir until just wilted, about 2-3 minutes. Pour half of the potato-spinach mixture onto a plate, then pour the egg mixture into the pan. Use a spatula to lift up the edges of the frittata + tilting the pan to allow the uncooked eggs to fill the space undernearth. This helps speed up + evenly cook the frittata. Once eggs are mostly cooked spread the remaining potato-spinach mixture over the eggs and sprinkle the goat cheese over top. Place in the oven and allow to broil for 3-6 minutes until the frittata puffs up and isset in the center. Or, 5-10 minutes if baking. Keep a close watch if broiling! 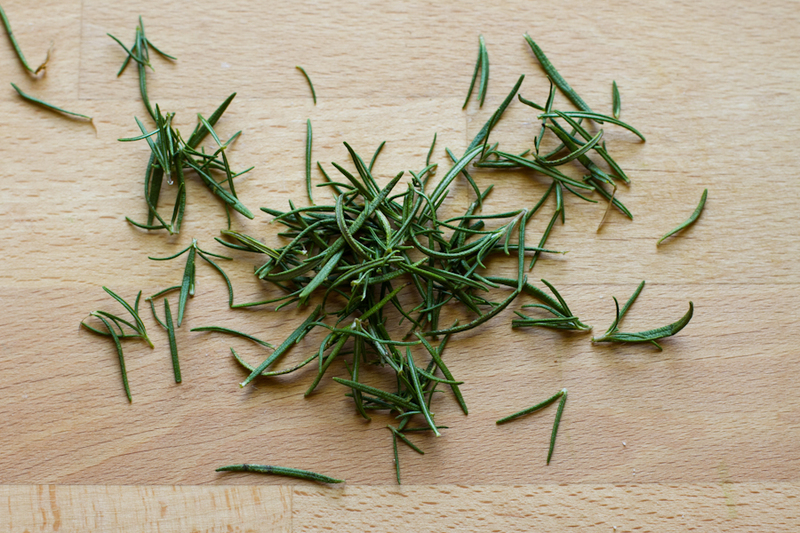 Remove from the oven, slice, and top with a sprinkle of rosemary, salt, and pepper. 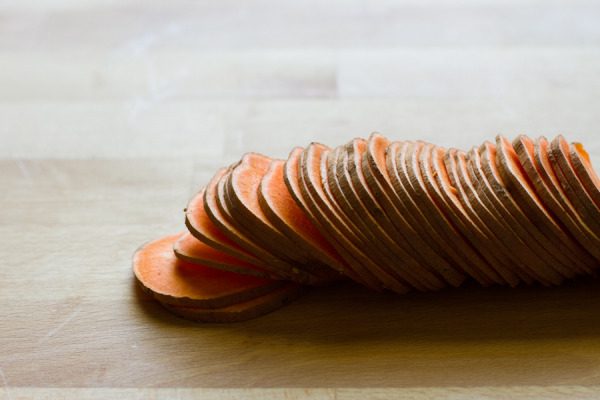 notes/subs: Yukon or red potatoes can be subbed for sweet potatoes if desired. 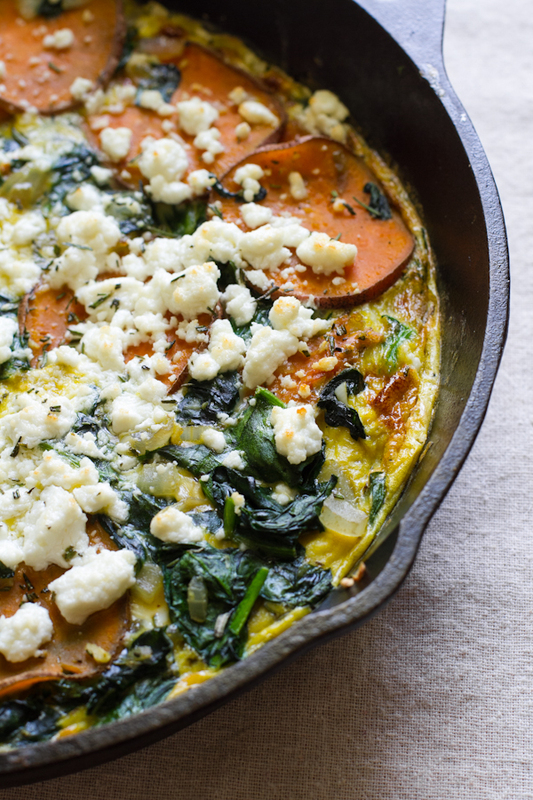 I prefer to use large leaf spinach in this recipe as it holds up better than baby spinach. Lacinato [dinosaur] kale would be a great alternative. I sliced the potatoes by hand to about 1/16-1/8-inch thickness. A mandolin would work perfectly for this.